This week has been pretty slow in the modeling world, leaving me time to experiment with food, and new face masks! Each night I experimented using a different mask I’ve read about on the internet to see if it lived up to its expectations. 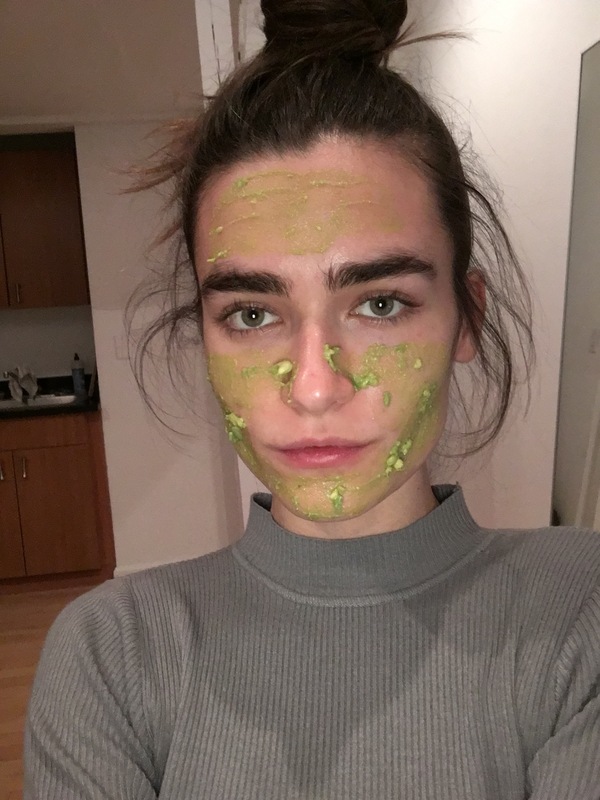 What’s not to love about an avocado mask?! 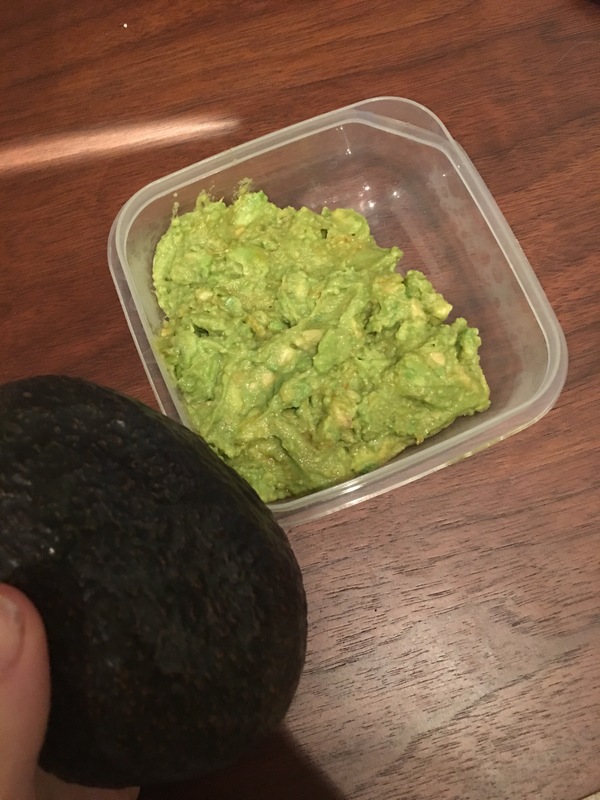 Avocado is well know and very popular to eat, healing skin from the inside. Avocado is rich in vitamins and fatty acids so it’s important for the body. Avocado has a cooling effect on your skin and you don’t need much so you get to eat the left overs 🙂 What’s better than that?! 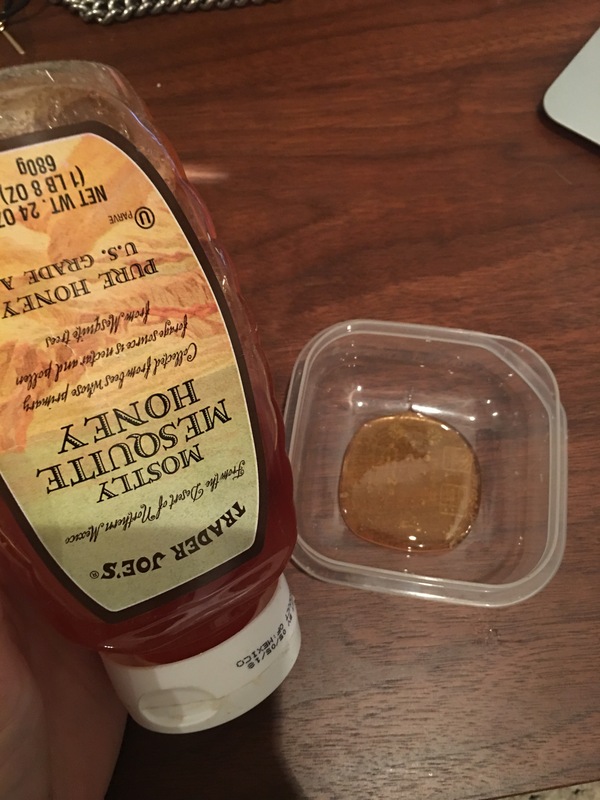 Honey is something that is also important, great for your body and great for your skin. So why not use it in a mask? Although it is sticky and a little runny, it sure does taste good! Honey has plenty antioxidants important for skin and anti aging. Who wouldn’t love to look younger for longer! Definitely recommend! 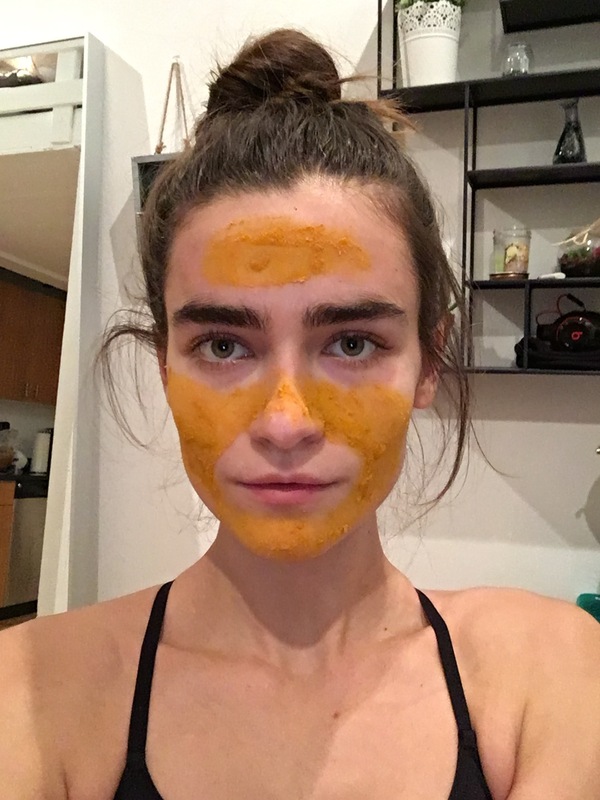 I’ve used turmeric masks before, but this is the first time I’ve made my own and into a paste. Other than leaving your skin a little yellow after you wash it off, it’s not that bad. 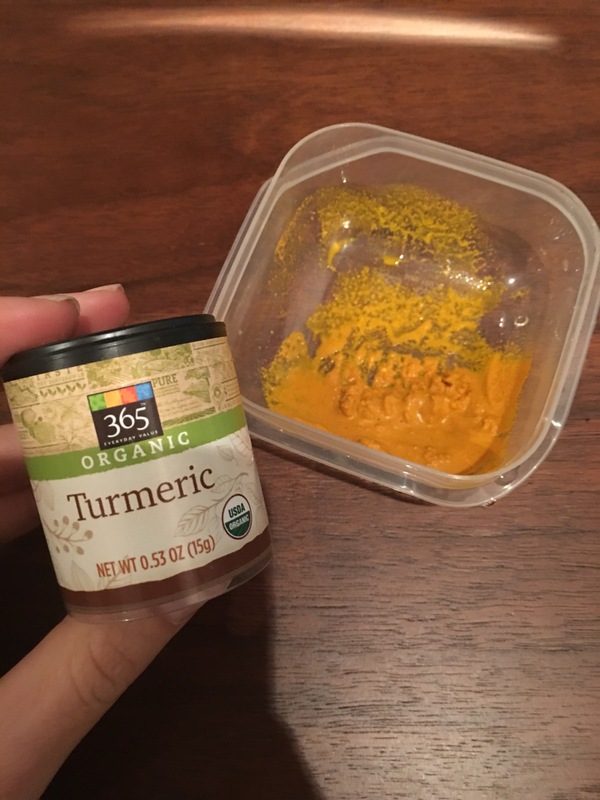 Turmeric is good for acne scars or dark marks. I’m someone who gets a mark here or there and if this helps, I’m going to use it by all means! 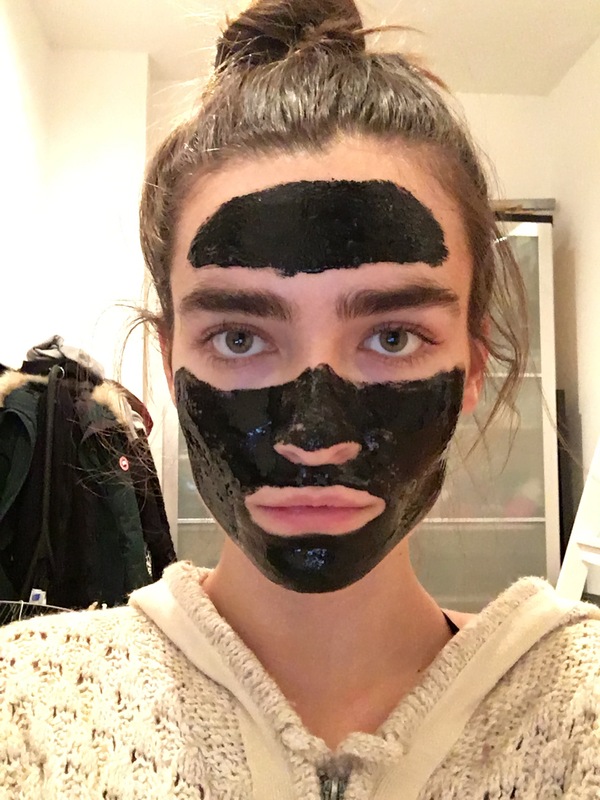 This black pore mask is one of the most popular masks out there right now, so I decided to try it for myself. It’s cool on the skin and dries within a few minutes. 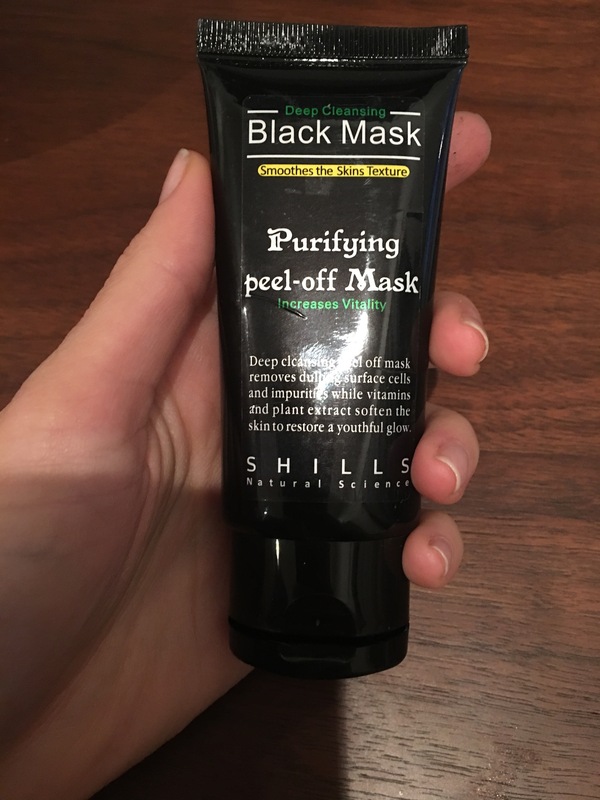 I am someone who suffers from blackheads, so this mask is something I wanted to give a shot. As far as peeling this off, it hurts a little bit and sticks to any baby hairs or peach fuzz you have. The most important thing is blackheads… do I think this actually works for pulling out blackheads, I would have to say no because I really didn’t see much of a difference. Skin is something you should take care of, just like your teeth, nails and hair. Your skin acts a barrier to outside threats, oftentimes fighting them off but sometimes they get through. That leads to things like blackheads, pimples or even acne. I can’t stress how important it is to wash your face every day. These masks are something that help with protection, but do not clean the skin. These are not meant to be used everyday, unless you prefer to. You don’t need to use all of them, everyone’s skin reacts different so one may work better over another. I would love for you guys to try them out and email me telling your experience, email is in the contact page! I’m curious to know what you think, or if you have a mask you’d like me to try!! I recently moved into my own apartment here in New York City. Out of all the amazing amenities the building has to offer, my favorite would be my spacious kitchen. Its filled with great appliances and has more than enough space to actually cook!! So, it’s safe to say I’ve been on a cooking binge lately! Because I’ve had such a great response to the pictures and videos I’ve posted on my social media, I wanted to share my recipes with you! Almost three weeks ago I started a plant-based diet meaning I can eat grains, legumes, plants, fruits and A LOT of veggies 🌱 with minimal animal product intake. Initially, I thought that it would be hard and I’d lose focus quickly but come to find out it’s really not that bad! I’ve actually come to love it and the effects it has on my body. It might be called a “diet” but it’s not really a diet, it’s a new way for me to live healthier. I’m not trying to shed the pounds, I’m trying to be more conscious of what I am putting into my body. With that being said, here are two of my favorite meals I’ve made the past couple of days! Pre heat oven to 375. Wash all vegetables and allow time to dry. Cut summer squash in half and remove guts/seeds. Cut mini potatoes in half or size you prefer. Brush the truffle oil onto the inside of the summer squash, season with sea salt pepper mix and place face down on baking tray. Place potatoes into a small bowl and mix in the coconut oil allowing all of them to be covered. Place onto baking sheet and sprinkle on sea salt pepper mix. Place baking sheet into the oven for 40 minutes. While the summer squash and potatoes are cooking in the oven, cut your cabbage and onions into bit sized pieces. Heat your pan and throw in the garlic and coconut oil. Place cabbage and onions into the pan (lid on) and allow them to cook while stirring occasionally so it doesn’t burn. Cook cabbage until tender then turn off the stove, with the pan lid still on allowing it to steam until everything is ready. After 40 minutes is up check on the potatoes and summer squash by poking a fork into the skin. If it goes through its cooked, if not allow it to cook for a little longer. 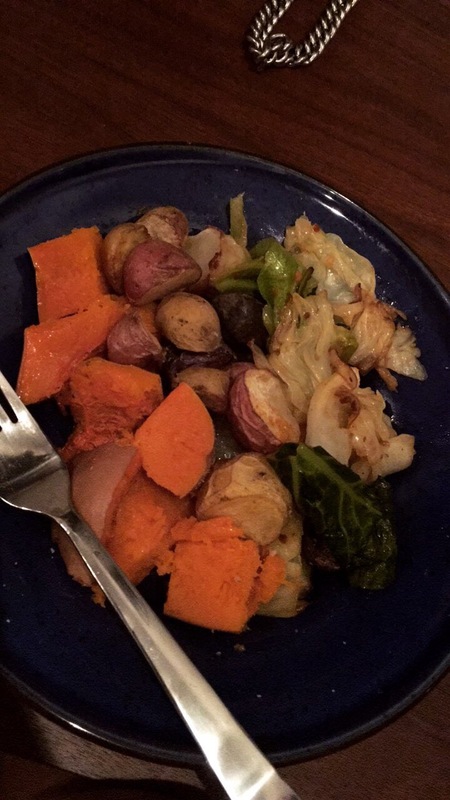 Cut all vegetables into bite sized pieces. Heat pot and throw in coconut oil and garlic. After that cooks for a minute or so, put in both containers of vegetable broth. Once all vegetables are cut, place them all into the pot. Add in the dry seasonings. Place on simmer and allow it to cook for 40 minutes with the lid on. After 40 minutes all vegetables should be cooked and it’s ready to plate up. This recipe is super easy and makes A LOT. If you’re a soup lover, make the whole batch and reheat when necessary. If you’re not feeling that soupy, cut the recipe in half! The good thing about soup is you can place in the freezer and reheat it whenever you’re in the mood! 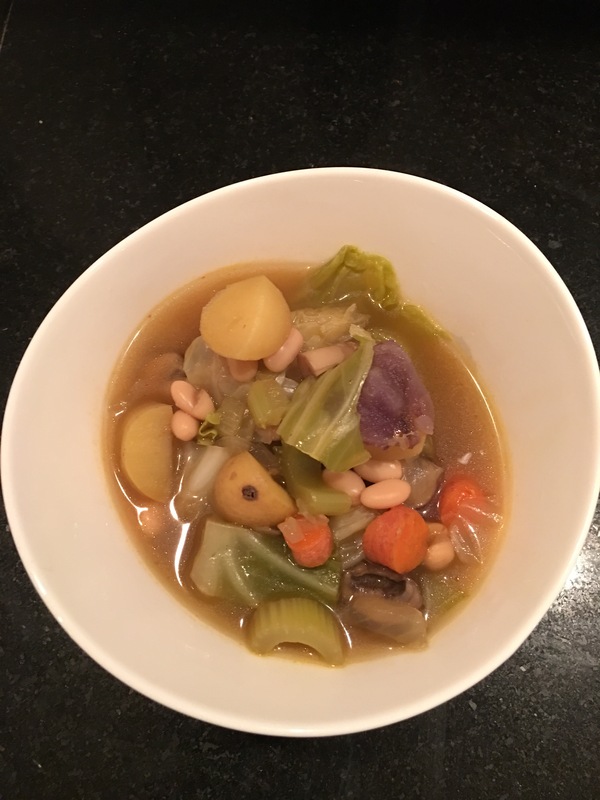 This ones super healthy and great for the winter months ahead! I’m excited to see what I cook up next and I can’t wait to share the recipes with you guys, stay tuned!